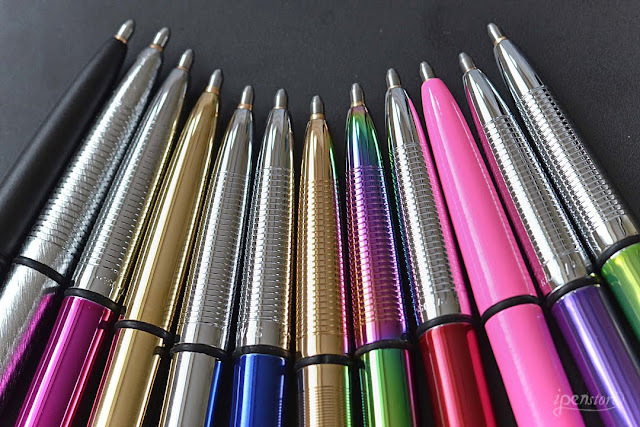 Fisher Bullet Space Pens- now back in stock! 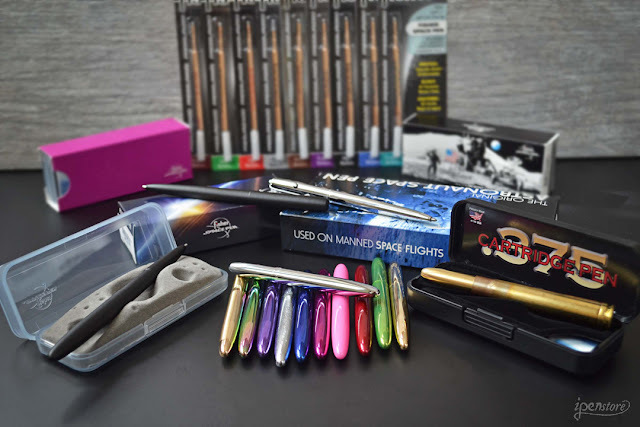 We are excited to have our Fisher Bullet Space Pens back in stock! These extremely popular pens were designed for NASA astronauts to be used in extreme conditions. 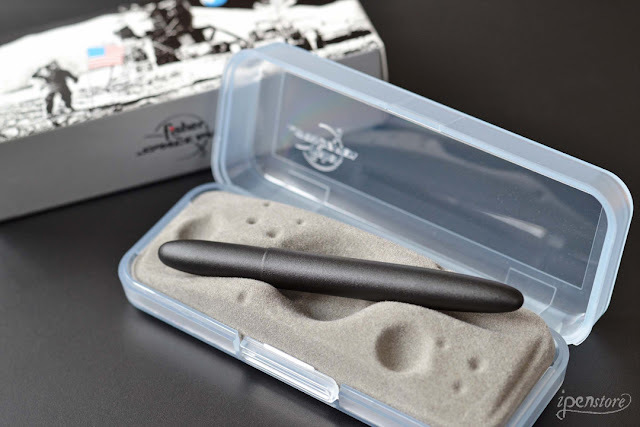 The Fisher Space Pen pressurized refill is what allows the pen to write in extreme hot and cold temperatures, under water, and even upside down. Even if you don't find yourself in these types of extreme conditions, many love this pen for the simple beauty of the design. Cited as an outstanding example of industrial art, the classic design of the Fisher Bullet Pen has been exhibited for years in the New York Museum of Modern Art. The pen features a lacquer covered brass body. The grip section is chrome plated. Capped, it's a compact 3-3/4"- the perfect size to carry around with you. When posted, it measures a full sized 5-1/4". It posts very securely and is evenly balanced for writing. 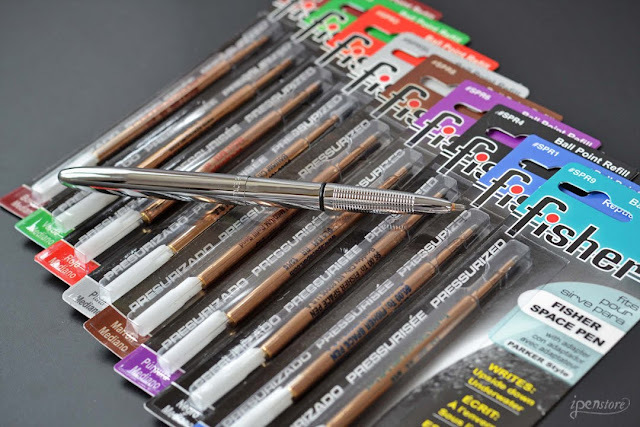 We have medium and fine refills in every color they offer, and you can find them here in our store. We also offer the Fisher Space Pen Clip for Bullet Pens in Matte Black, Chrome Plated, and Gold. These are useful for keeping your pen secure in your pocket, and from rolling off your desk! The case is quite fun, since it looks like the moonscape, and makes a great gift presentation. Under the pen holder you'll find an informative pamphlet. This pen is a great work horse pen. 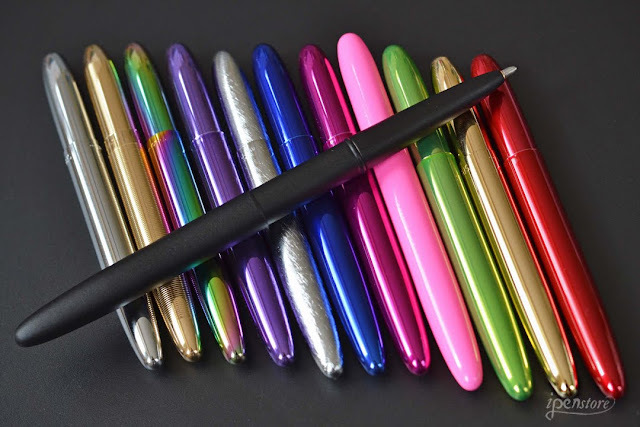 It will write in a variety of conditions, is small and compact, great for carrying around with you everywhere, and comes in a variety of refill colors! 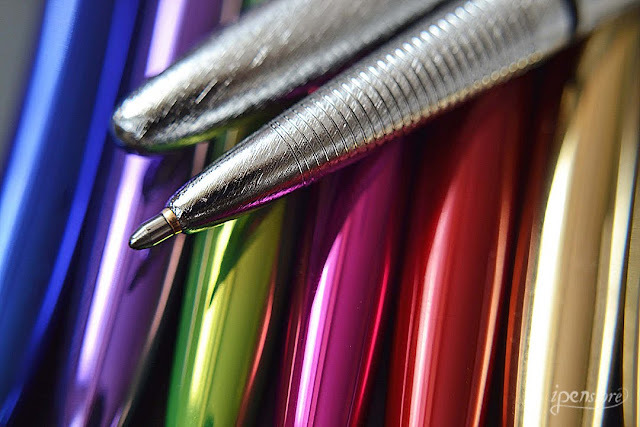 I love the Fisher Space Pen, especially the chrome and the fuschia.